The proposal to abolish what are known as “peremptory challenges” in Bill C-75, the Canadian government’s new criminal justice bill, should be welcomed. Peremptory challenges allow both the accused and the prosecutor to challenge and dismiss a potential juror basically because they do not like how that juror looks. They’re an invitation to discrimination. Nevertheless, some defence lawyers have argued that abolition will make juries less diverse. This ignores the inconvenient fact that the defence team’s use of peremptory challenges produced an all-white jury in the Gerald Stanley-Colten Boushie case. Some argue that abolition is a knee-jerk and quick-fix response to Stanley’s acquittal, and even an attempt to stack the jury. This ignores that England, the birthplace of peremptory challenges, abolished them in 1988. After much research and deliberation, the Manitoba Aboriginal Justice Inquiry also recommended in 1991 that they be abolished. Finally, arguments against doing away with peremptory challenges also ignore that retired Supreme Court Justice Frank Iacobucci concluded in a well-researched 2013 report that no attempt to address the dramatic under-representation of Indigenous people on juries will work as long as both prosecutors and defence lawyers can use peremptory challenges in a discriminatory manner. Despite the fact that equality rights under Canada’s Charter of Rights and Freedoms have been in force since 1985, defence lawyers and prosecutors have failed to challenge the discriminatory use of peremptory challenges. The U.S. has developed such jurisprudence, but it slows down trials, the opposite of what Bill C-75 was aiming to do in its response to the Supreme Court of Canada’s speedy trial ruling. What’s more, it doesn’t work to address concerns about discrimination. Employing the American approach in Canada would therefore only result in complex and ineffective litigation. Those claiming that the abolition of peremptory challenges could lead to biased jurors ignore what’s known as the “challenge for cause” process in Canada’s Criminal Code that allows both sides to question jurors about whether they would be impartial. Bill C-75, in fact, improves “challenges for cause” by mandating that judges, rather than the last two jurors selected for a trial, decide whether a prospective juror is impartial. The use of two jurors to decide whether other jurors are partial has caused delays and problems in jury selection in the past, and resulted in Criminal Code amendments in both 2008 and 2011. The challenge for cause process is transparent and open. It should have been used in the Stanley/Boushie case to ensure that no juror, Indigenous or non-Indigenous, had already made up his or her mind and was unprepared to fairly decide the case on the evidence. The challenge for cause process could be improved even further – beyond provisions in Bill C-75 – without going to the extreme of the American process that allows prospective jurors to be asked questions that violate their privacy, including how they vote. 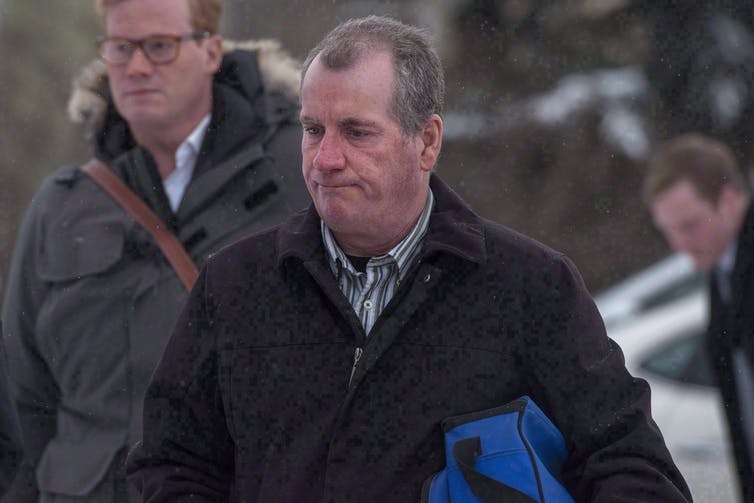 The fact that challenge for cause was not used, and that the defence employed peremptory challenges to remove five visibly Indigenous potential jurors, has rightly undermined public confidence in Stanley’s acquittal. Bill C-75 would also allow judges to set aside some prospective jurors, not only on a hardship basis, but to maintain public confidence in the administration of justice. This is in response to findings that Indigenous people are under-represented on juries and the concerns that many Canadians had about the fairness of the jury selection process in the Stanley/Boushie case. This expansion of judges’ power could result in more diverse and representative juries, depending on how they exercise that discretion. But more work is needed to ensure that juries represent the diversity of our communities. Bill C-75 retains the citizenship requirement for jurors even though many permanent residents, often from racialized groups, might otherwise be competent and impartial jurors. Bill C-75 does not follow up Justice Iacobucci’s recommendation about allowing, in cases where it’s appropriate, people who speak Indigenous languages to serve on juries with translation assistance. The government should also revisit a 2015 Supreme Court of Canada decision that accepts dramatic under-representation of Indigenous people on panels of prospective jurors. Two judges dissented in this case, stressing the importance of justice being seen to be done. We also need a more modern standard based on equality that ensures a fair and random sample of the community. Such a change would push provinces to develop better ways to ensure more representative jury panels, including outreach and support of Indigenous and other groups such as African-Canadians who are under-represented both on jury panels and actual juries. Better pay for jurors would also respond to the under-representation of Indigenous and other racialized and disadvantaged groups on jurors. Saskatchewan has experimented with deliberately diverse coroner’s juries. In Ontario, there is interest in volunteer jurors from Indigenous communities. With co-operation from the Nishnawbe Aski Nation, more than 500 members of First Nations volunteered to serve on the coroner’s juries that deliberated about and made important recommendations about preventing the death of Indigenous youth in Thunder Bay. Iacobucci’s 2013 report supported the use of volunteers to increase Indigenous representation on juries. Some may fear that volunteer jurors or jurors appointed from the group affected by the case, or jurors from a small community where a crime is alleged to have taken place, may be biased and have no place in criminal trials. But such arguments forget about the critical “challenge for cause” process for ensuring that all jurors are impartial. Nobody wants biased jurors who have already made up their minds. We should all want diverse juries who reflect the relevant life experience in the case. More could and should be done, but Bill C-75 is a necessary first step that will correctly remove peremptory challenges that allow prosecutors and defence lawyers to keep people off juries whose looks they do not like. Kent Roach is a professor at U of T's Faculty of Law and Prichard Wilson Chair in Law and Public Policy.